Just before Christmas I had my VIP stay with me for a few days. I had basically shut the workshop up for the holiday, but as most of you will know, you just can't shut your mind off from thinking up ideas and projects! So, during one wet afternoon, we decided to take a trip to the local library, it's a small setup with a few books, and we picked out a few that would be suitable for her reading ability and at the same time be challenging as well. To be honest I started to get a little board, and was struggling to hide it. Much the same as she does during a trip to any shop not selling toys! but what happened next made me smile so wide it filled the room! "come on Daddy, lets find you a book too." after a few minutes, we had found the shelf filled with various craft books, from scrap-booking to knitting, and joy of joy, two woodworking books! I used to work in a "library" of sorts for a pharmaceutical company, boxes and shelves filled with medical journals, and peer reviewed papers on various boring and complicated ailments and conditions. Nothing at all of interest except the cheque [pay check] at the end of the month, but I did get a basic understanding of how libraries work, and are struggling in the 21st century. It seems libraries are closing at an alarming rate, and struggling to get punters through the door. I've spoken to a few people around, and many say that they don't use the library because of two main reasons, lack of books of interest, and forgetting to take books back and paying fines. Firstly every library has a computer catalogue in it. 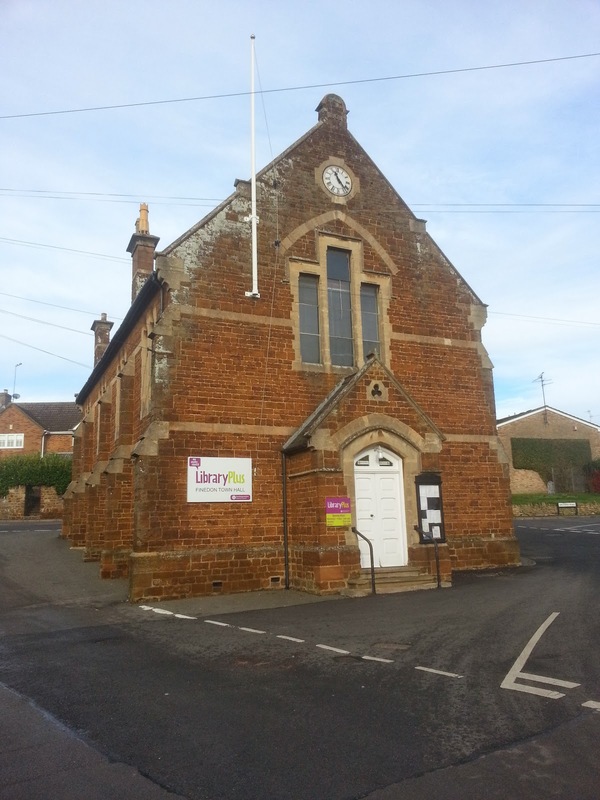 you can search every book in the county(at least here in the UK, Please leave a comment if you use libraries in the US), and request one of interest to be delivered to your local library for you to take out. even if the book is out, you can reserve it and it will be delivered upon it's return. Secondly, fines... if you want to take the book out for a bit longer you can renew the book upto (usually), 2 more times, that's about three months with you, depending on the terms of you library. you can also get the library to email you a week or so in advance to remind you to return it. I once had a book about different finishing techniques for nearly 6 months a few years back, after i had been told i could no longer renew it, i returned it to the library, and checked it straight out again and took it home again. nobody had reserved it so the library allowed me to take it again. NOW HERE'S THE BEST BIT! Even if you forget to renew or return the book, the fines are simply pennies! I forgot to take back a couple of the original reading books for the VIP, they were a week late, and the fine came to £1.05! that's nothing, barely a can of cola these days! now, in the 21st century you can sit on the computer, trawl the internet for thousands of posts, pages and videos. and that's great, but who can deny that it's not a great feeling to lay in bed, or the bath, or - well you get the idea, and flick through pages of a real book, one that's free, and one you can give back to another to use, and get enjoyment from? 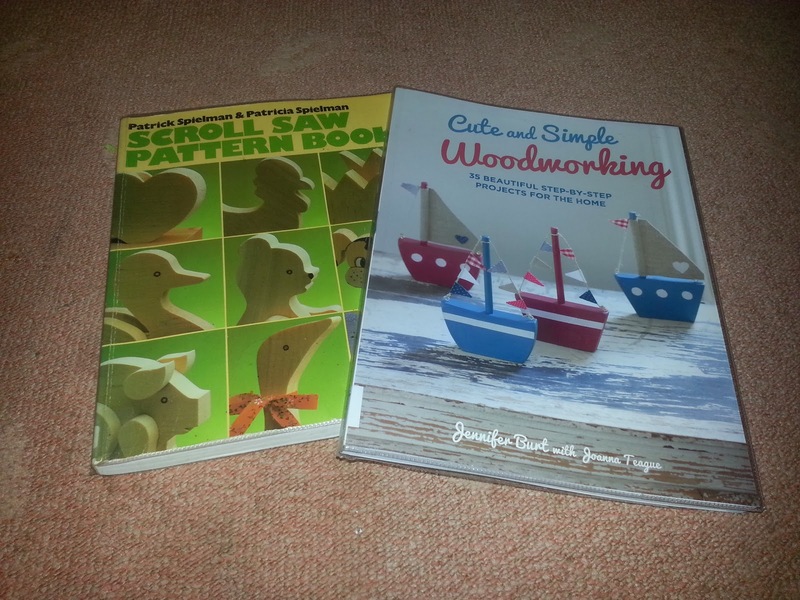 The two books I took out that day were great, the first was a scroll saw pattern book, filled with pages of templates, pictures and ideas from animals, jigsaws, really simple ideas that anyone could tackle at any level. The second was also book of simple ideas, the kind of items you might see in a craft store in a quiet seaside town for tourists. you might pay a few pounds for these, but something anyone with an "I'd like to try that" mentality, of any age or ability. Go on, get out there and support your local library, before you loose it!